Because of global commerce and travel, the possibility for animals to spread to new ecosystems around the world has never been more real. Humans have been transporting non-native species to other countries or regions for centuries, but the current rate at which invasive creatures are reeking unimaginable havoc is unprecedented. According to Nature, mitigating the ecological damage caused by invasive species costs $1.4 trillion dollars each year around the world. These animals can destroy natural habitats, upend ecosystems, and threaten human food and water supplies. Within the U.S., there are a number of non-native species that have been introduced and are causing huge issues for American wildlife. Here are some of the most serious cases. Florida's delicate Everglades ecosystem is being threatened by Burmese pythons, a massive species of snake that is native to Southeast Asia. Adults can grow to nearly 20 feet in length, and scientists suspect these constrictors originally were brought to the U.S. as pets, the New York Times reported. Now there is a stable population or released or escaped snakes that are have become predators to many animals in Florida forests and marshes. Burmese pythons can grow to 250 pounds, which means anything from birds and raccoons to alligators and deer can fall prey to the giant snakes. Another species that was transported by humans is the Asian Carp, a type of fish that can grow to 100 pounds. Popular Mechanics stated that these animals were originally used to clean ponds and remove algae. Now, however, these fish are spreading like wildfire in the Midwest, and in the Illinois River alone, 90 percent of all biomass can be attributed to the Asian Carp. This has fishing and nature enthusiasts worried that the delicate ecosystems of the Great Lakes and tributary waterways could collapse in the face of such voracious fish. According to Birdgard, the European starling is such a dangerous invasive species because it can spread diseases to humans and livestock. E. Coli, for example, can be disseminated because of these non-native birds. These common birds have been introduced all over the world. In the U.S., European starlings were first found in Central Park in 1890. At the time, the American Acclimatization Society was attempting to introduce all birds mentioned in Shakespearean plays. Since then, the starling has spread all across the U.S. and Canada. Odds are the next time you grab your Pro Trek triple sensor watch and head out on a hike, you'll be able to spot these birds fairly quickly. Although scientists aren't sure how the Asian long-horned beetle first came to the U.S., this bug is extremely dangerous for deciduous trees. This large, long-bodied insect has characteristic black and white antennae. The bug's larvae carve deep burrows in native trees, and begins to deprive species like Oak or Maple of water and nutrients. As a result, this bug has the potential to kill America's native trees and is a serious threat to the nation's forests. One of the most dangerous of all invasive species, Africanized killer bee swarms can lead to serious injury or death. Desert USA reported that in the 1950s, African bees were brought to South America in a set of experiments, only to escape and spread north into Central America and the Southern United States, sometimes traveling over 200 miles in single year. Africanized killer bees can live in states ranging from Florida to California and as far north as Washington state or Virginia. 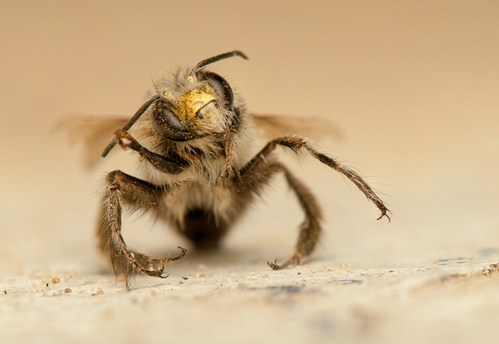 These bees are much more aggressive than garden-variety European honey bees, and will viciously attack animals or people that disrupt their hives. They are no more venomous than regular bees, but they attack in great numbers and with much more ferocity, which exacerbates an attack. So pack the Pro Trek PRG300CM-4 as part of your essential outdoor gear with its sleek soft camouflage band and built-in compass to steer you into the wilderness and away from the invasive species of American wildlife.